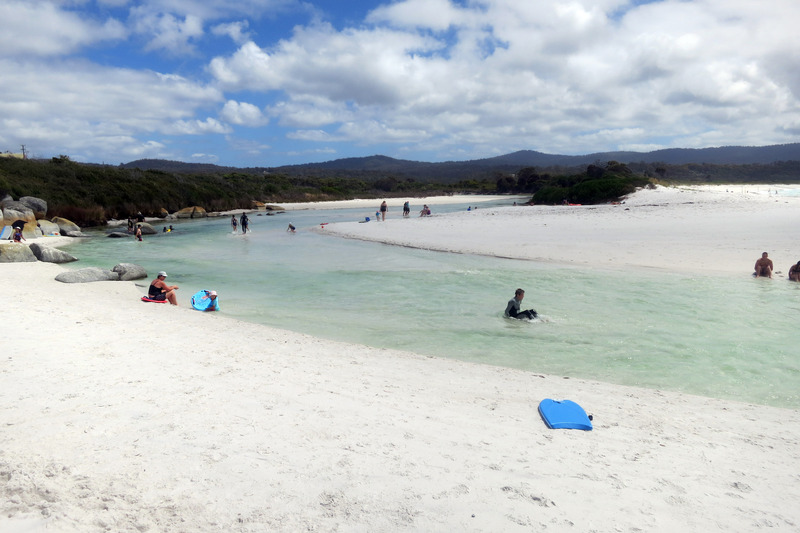 Tasmania is mostly known for its devils, but it certainly felt like basking in paradise once we had a chance to visit this corner of the world. Picturesque meadows, lush rainforests, beaches with water so clear that the waves are almost see-through — this state has it all. With it being peak season, I was expecting the parks to be overrun with visitors, but amazingly, crowds were sparse. 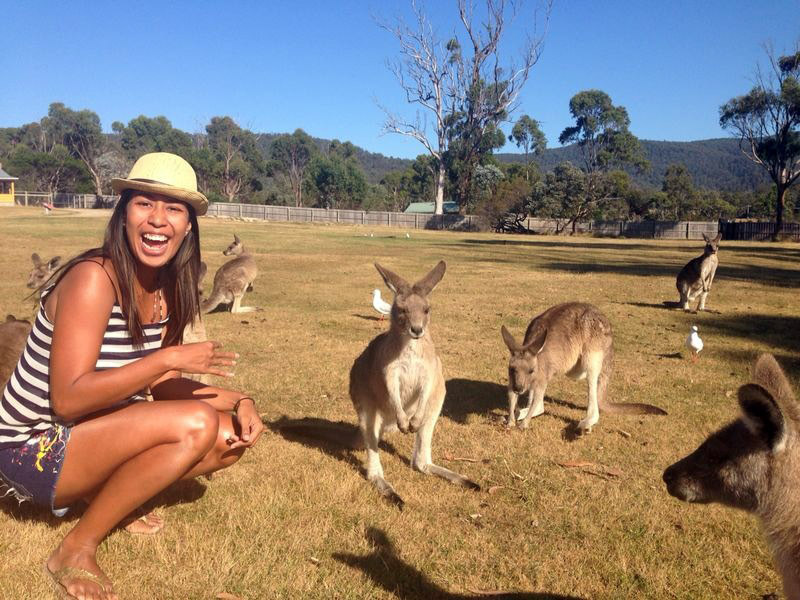 It was even a bit ironic that Tasmania is one of the rare places where I didn’t meet a lot of Aussie adventurers. Truly, there were times when I felt like we were the only group carousing through the garden of Eden in a coaster bus. It is true that Tasmania is not as easy to get into as its other sibling states. However, we think we’ve discovered one of the sweetest ways to get to this elusive nook — through a freakishly lucky twist of fate, wherein you chance upon a popular travel booking site having an 8-hour long glitch, enabling everyone to book long-haul flights for rock-bottom prices. The stars aligned, and we made off with SG to AU flights for just four dollars. FOUR DOLLARS. Repeat after me: SUH-WEET. Ecstatic over our loot, we soon discovered that we couldn’t have booked enough time to properly enjoy the wonderland that is Tasmania. Over on the west, you have a thick wilderness of woods, mountains and valleys — a tramper’s nirvana. Cradle Mountain beckons you to climb, while the Franklin River lures you in for a wild ride on the rapids. To the east, stretches of sparkling coasts promise you the clearest water you’ve seen in a long, long time, surrounded by big, smooth boulders and well-shaded trails. Scoot to the south, and you can opt to hop on a kayak or a speedboat to enjoy the islands — you might even be up for a meet and greet with the fur seals! As we under-booked our stay by a long shot, we deliberated our choices and our inner water-goddesses won — East Coast it is! Were we even surprised that beach always wins? The drive alone was awe-inspiring. At one time, we would pass by open fields of tall grass, sprinkled with wildflowers and neat rolls of hay. At the next moment, we would then be surrounded by towering rows of pines and ferns. 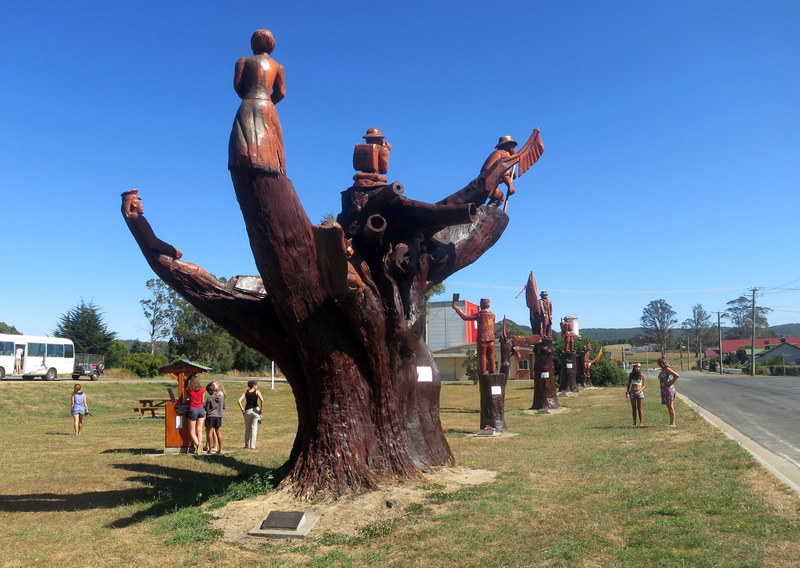 We made a quick stop to Legerwood, a town that saved their treasured overgrown trees from government housekeeping by turning them into sculptures instead, fashioned with nothing else but a chainsaw. Along the way, we were also schooled in all matters dairy during a cheese-tasting session at the Pyengana Dairy’s Holy Cow Cafe. 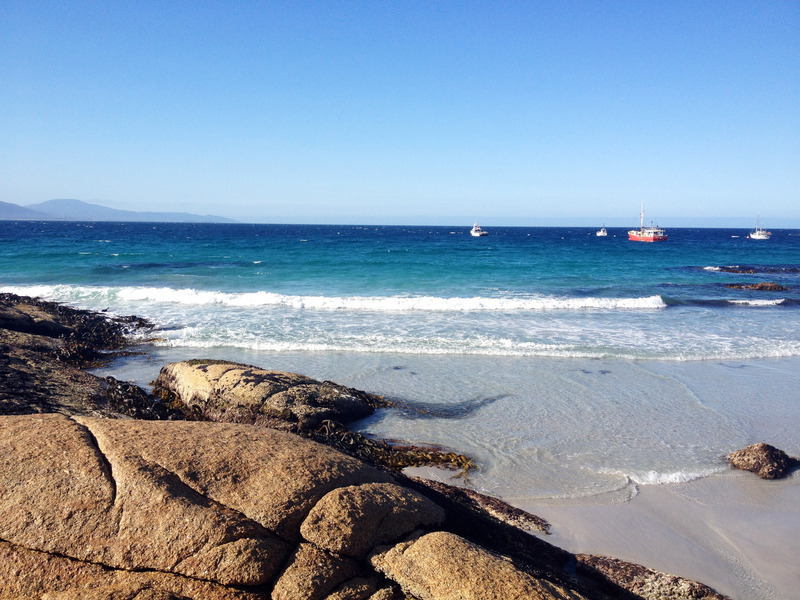 But the highlight of the day was yet to come — finally we arrive for a late lunch at the stunning Bay of Fires. 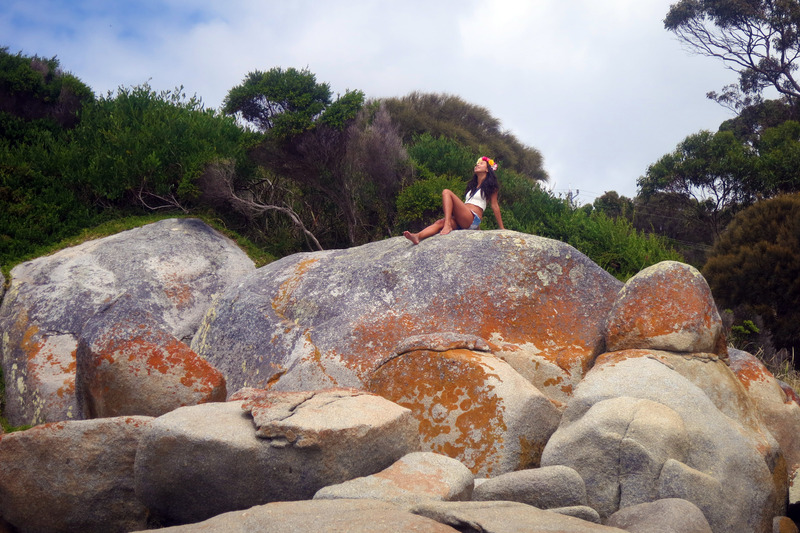 I knew it was going to be beautiful, but when I finally laid my eyes upon the magnificent azure surf splashing against the giant orange-specked boulders, my jaw hit the flawless fine white sand. Houston, I’ll be here for a while. How great is this? If you’re worried about your kiddos being gobbled up by the big waves, then you can keep an eye on them while they play around the kiddie whirlpool instead — the water gurgles gently from the sandbanks to the sea. For bigger kids, you can take your time to relax and cruise on a floater, while at the same time not being bored. When we had our fill of the sun and surf, we piled again into the bus and headed for our last stop of the day, the quiet town of Bicheno. Again, there were hardly other tourists romping around, but it definitely wasn’t for lack of any sights. In fact, Bicheno’s really lovely; the water’s a much darker blue, adorned by small white fishing boats that lazily bob up and down. From what we learned, the crayfish is the draw here. If you’re not into angling, however, fret not, because another critter bides it chance to entertain. If you wait patiently (and more importantly, quietly) by the boulders on the beach, you could witness the irresistibly-cute fairy penguins come ashore every night to their burrows on the sand. The best way to come across them is to pick your own place among the rocks, lie down and murmur your silent prayers that at least one of them clambers over you. Once we shimmied onto our spots, there was nothing to do but wait, and I took advantage of the pitch dark and the wealth of time to gaze into one of the most dazzling night skies I’ve ever seen. I was literally lying in awe of the celestial masterpiece above me, with its twinkling freckles and milky splotches. It never felt so good to feel so small. Speaking of small, just when we were about to give up, we finally came across one determined *itty-bitty* fowl who made it safely back home from his trip to the sea. I guess, like the little feller, I was thanking my lucky stars too for another well-lived day of adventure. Recharged from a good night’s sleep, we set off for another day of combing the East Coast. I think we’ve waited long enough to see the state’s unofficial mascot, so we were psyched when our first stop was to finally meet and greet the wildlife in East Coast Natureworld. Behold the Tasmanian Devil. No, it doesn’t spin. 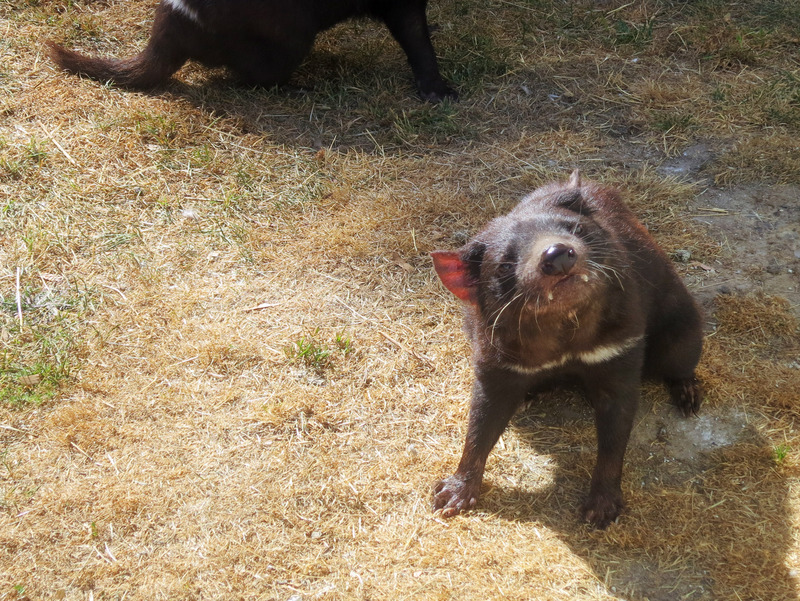 It was great to walk around and pet the free-roaming animals in the park (don’t worry, you can safely view the carnivorous Tasmanian Devils whilst they’re in a pen. 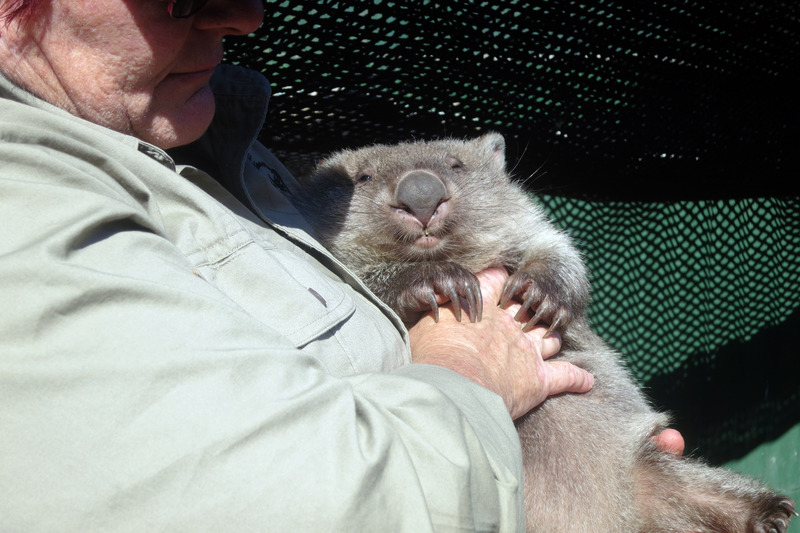 🙂 ) The resident wombats were my favorites though; how could I have not seen these creatures before? They’re like cute hamsters — only bigger and way more cuddlier. This one’s just begging to be hugged. 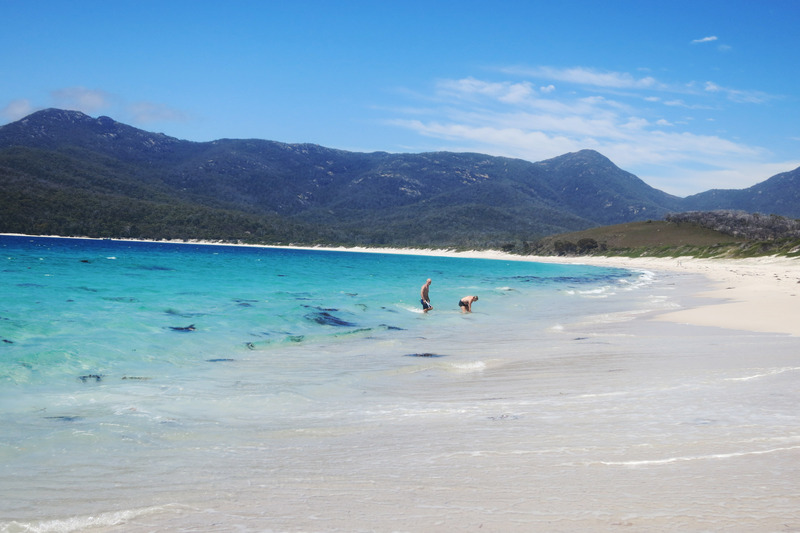 We bid the adorable critters goodbye, and headed off for the day’s first beach — Wineglass Bay. 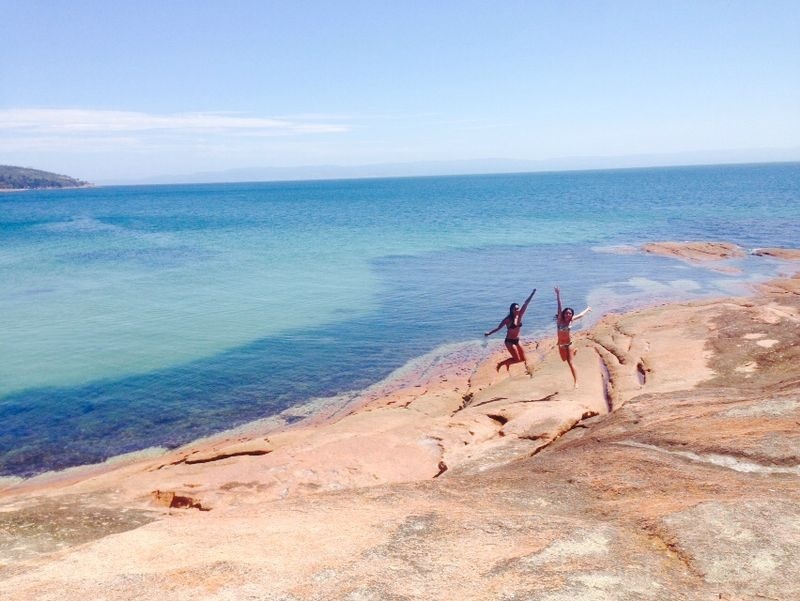 This one, we had to work for — to be worthy of wading into its waters, you’d need to hike through a gravel path up to the Hazards (a splendid lookout point for the Freycinet peninsula), then negotiate another trail going down to the beach itself. 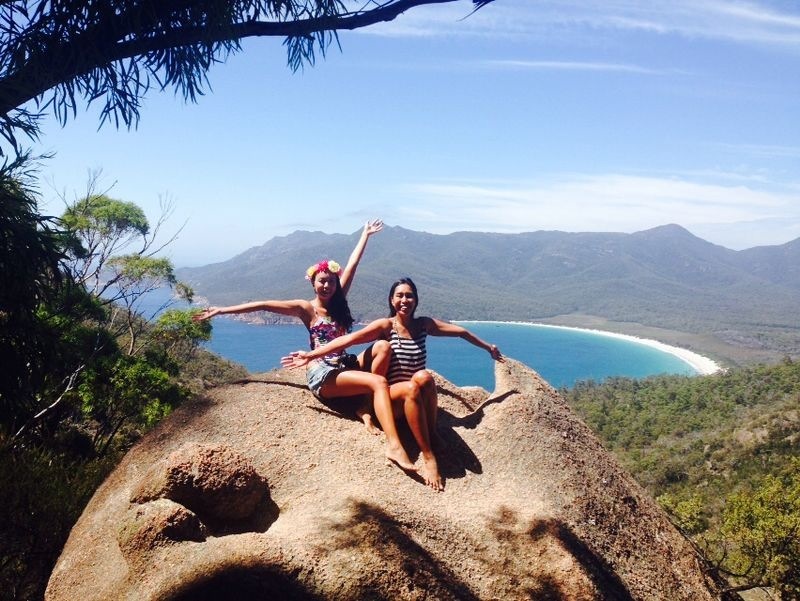 The 3-hour return hike can get a bit steep in some spots, but the shade is abundant, the view’s amazing, and the breathtaking natural beauty of Wineglass Bay itself is more than enough reward. We headed back, thinking that nothing could ever top that for this jaunt, but it’s amazing how happy you can be when proven wrong. 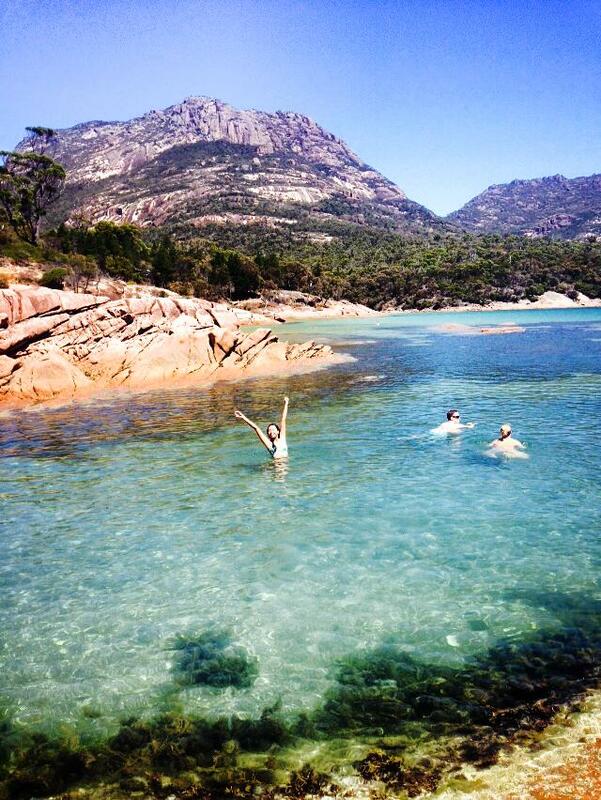 After another scenic drive, our guide announced that we were going to see his favorite swimming haunt — Honeymoon Bay. It quickly made its way to be our favorite too. The shallow water’s perfect for swimming, and colorful fish make it fun too for snorkeling. With a view like this, whether you’re in a honeymoon or not, you’ll definitely be in love! We came far looking for paradise, and blissfully we found it — and the great thing is that we’re just at the tip of the iceberg! I can hardly wait until we come back and explore the rest of this wild Shangri-la! If you’re planning to visit Tasmania, I’d recommend for you to fly into Launceston and start exploring from there. Whether you’re heading west for the mountains and rainforests, or heading east for the beaches like we did, it’s all accessible from there. 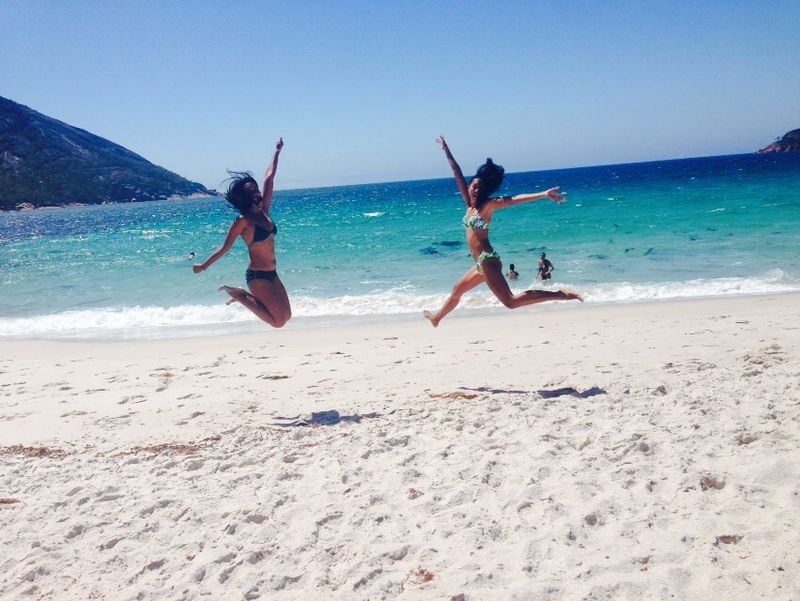 If you want to visit the same aquamarine paradisos, check out the itinerary for Jump Tour’s East Coast Adventure. We would love to post a few of the pictures and an excerpt of your text at toemail if you do not mind? Thanks! Probably the one of the two women jumping and the tasmanian devil and maybe a scenery one. Will let you know when it is posted.